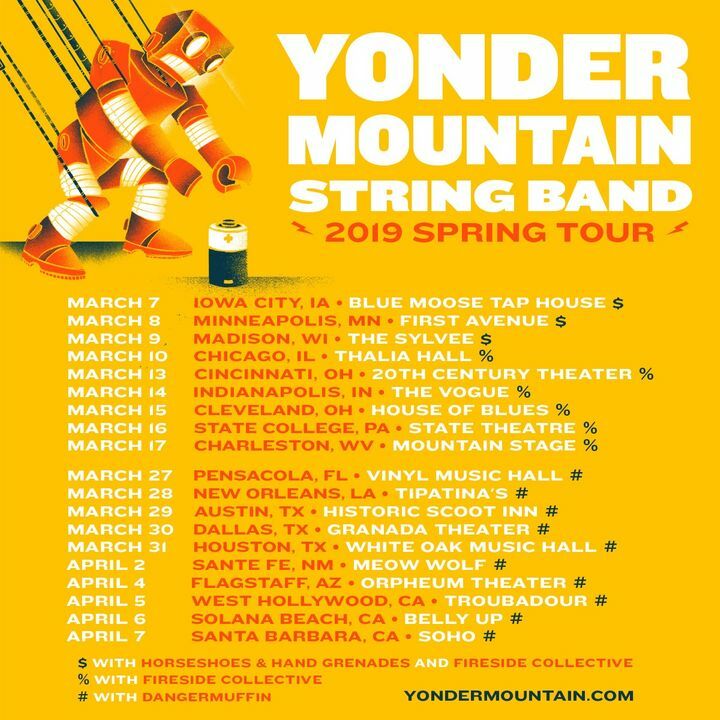 So excited to announce this spring run with Yonder Mountain String Band!! We'll be performing acoustic sets from New Orleans to Los Angeles... with special guests!! Can't hardly wait!! Great show and got to hang with John (bass player) a little on the balcony. Very cool dude!! Excelent version of Ripple to end their set. Can’t wait to see these guys again! Must see band!!! Unbelievable performance!!! Great sound and venue for a very talented band!